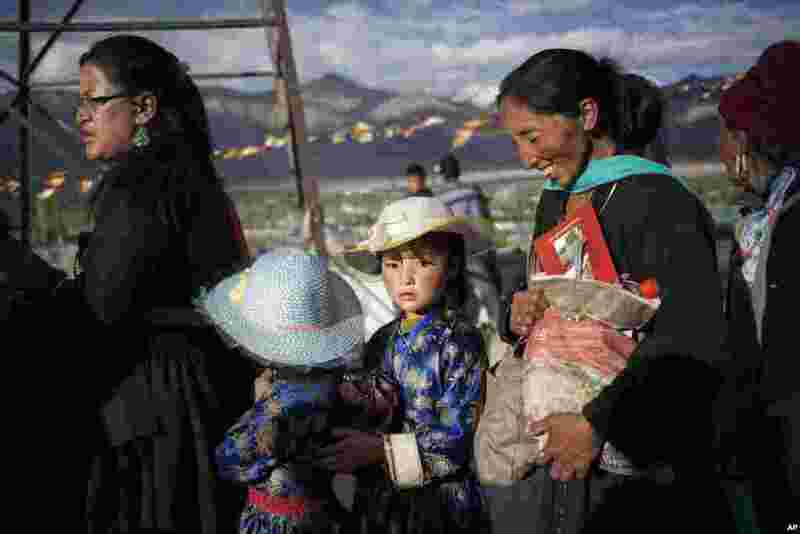 ١ Buddhist devotees wait in line to get inside the venue of the Dalai Lama's teachings on the fifth day of Kalachakra near Leh, India. 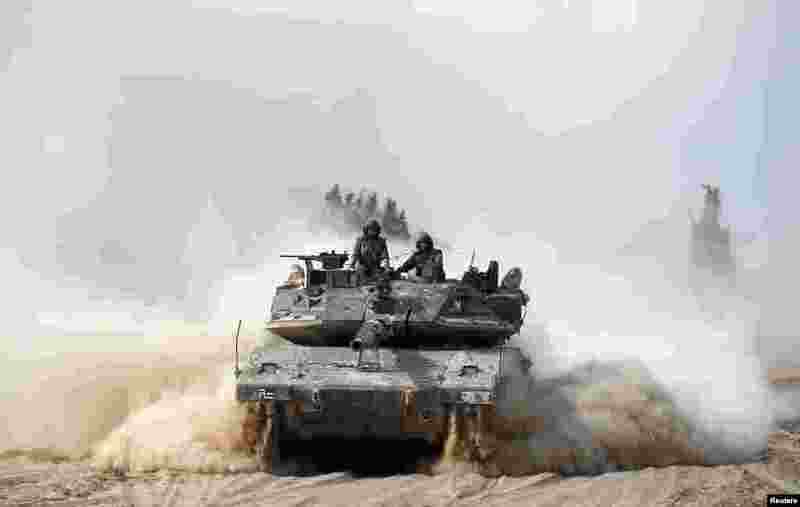 ٢ Israeli soldiers ride atop a tank outside the southern Gaza Strip. Israel launched a series of air strikes on Gaza to quell Hamas rocket fire, and the Islamist group's armed wing said seven of its gunmen were killed. 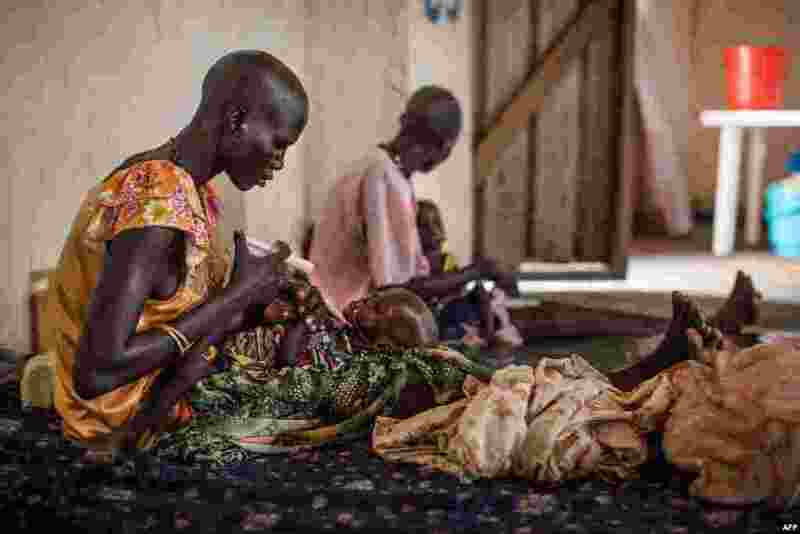 ٣ Malnourished children receive treatment at the Leer Hospital, South Sudan. 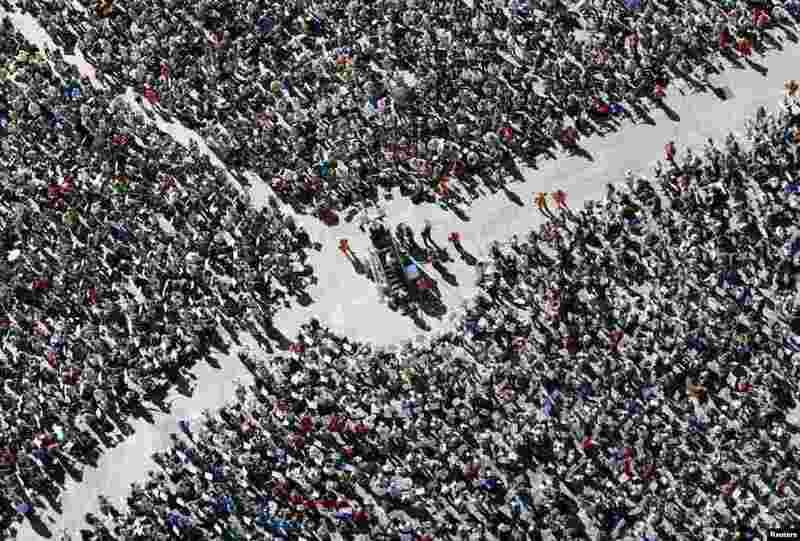 Hundreds of thousands of people were cut off from critical, lifesaving medical care after the Leer Hospital, run by Medecins Sans Frontieres (Doctors Without Borders), was ransacked and destroyed in the final days of January and early February. ٤ About 7,000 musicians play brass instruments during the 45th Landesposaunentag (Trombone Day), in Ulm, southern Germany, July 6, 2014.